Leading UAE developer Emaar has announced the launch of the Phase Three of Expo Golf Villas, a limited collection of three and four-bedroom premium villas located right next to an 18-hole championship golf course near Expo 2020 site in Dubai. The Emaar move comes following the sell-out response to the launch of its first two phases. 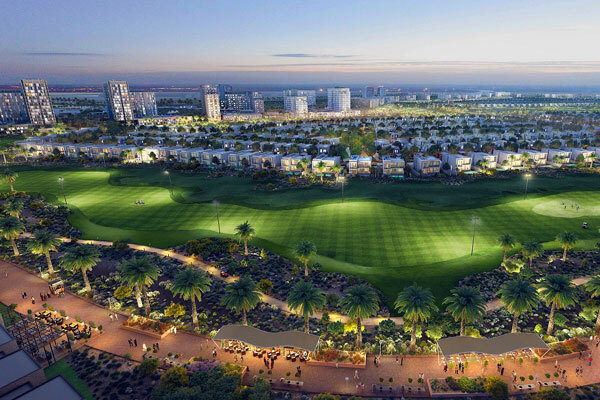 The Expo Golf Villas Phase III are competitive with prices starting from Dh999,888 and customers having the convenient payment plan, with the monthly installments to be paid over an extended duration of five years, said a statement from Emaar. Now among the most in-demand villas in the city, the Expo Golf Villas Phase III assure strong return on investment and long-term value appreciation, with research by KPMG and the American National Association of Realtors proving that golf courses have historically boosted the value of nearby properties by as much as 20 per cent, it stated. With this launch, customers have another opportunity to buy the most sought-after villas in Dubai in Emaar South, the green golf course mega-development located only 10 minutes from the Expo 2020 Dubai site and seven minutes from the Al Maktoum International Airport, said a company spokesman. Residents of Expo Golf Villas will become part of a thriving residential community with Emaar set to hand over the first homes in Emaar South this year, he noted. The homes are ideally suited for professionals working in the various business hubs in Dubai South including the Aviation District, Logistics District, Business Park, Exhibition District and Humanitarian District, he stated. Only 30 minutes from Jebel Ali Free Zone and 50 minutes from Abu Dhabi, the villas will also serve the requirements of entrepreneurs and professionals who prefer a serene lifestyle in a green setting, he added. Nestled alongside the Main Boulevard of Emaar South, Expo Golf Villa residents will have access to several amenities including a fully equipped gym, an outdoor swimming pool, kids’ playing area, a community centre and an array of parks and walkways that promote a healthy and active lifestyle, said the developer.